Note: If you are new to Marching Band, Marching Band Parenting 101 is a good place to start. No, participation in Marching Band is voluntary. Any student enrolled in a band class may participate in Marching Band. Any student may audition for a Color Guard position. A “section” is a component of the Concert or Marching Band and consists of a group of similar instruments. How can I keep up to date about band activities? Make sure you are on the email list by keeping your contact information up to date in Charms. Are the Performing Ensemble concerts free? Yes. Please come out and enjoy listening to the bands perform! What is the etiquette for band concerts? For concerts, we ask that you silence your cell phones, etc, and refrain from using flash photography during the performance. Due to copyright restrictions, video and audio recording of performances is not permitted. It is expected that all band members stay for the whole concert and do not leave after their group has finished. Concert performance and attendance are part of the class grade. Parents and other audience members are also encouraged to stay for the entire concert as each ensemble appreciates an audience. Please enter and exit the auditorium only during the applause breaks. It is customary and considered good concert manners not to applaud between movements or sections of a piece, but rather to hold your appreciation until the completion of the entire artistic work. The end of a piece is signaled by the conductor, who will lower his or her hands and usually turns to acknowledge the audience and take a bow for the entire ensemble. In jazz, it is customary to applaud each soloist after she/he has finished soloing, even while the rest of the tune is going on. Your cue to applaud is when a soloist sits down or a different soloist starts playing. Yes! When Marching season ends in November, there are several extra-curricular ensembles. Your student can chose to participate in Jazz Band, Desert Ridge Rhythmic Theater (DRRT). Marching Band (Fall) and Jazz Band (Spring) are offered as a for credit, “A” hour class. Can any Desert Ridge student play in an extra-curricular ensemble? Yes, extra-curricular ensembles are open to all students. Jazz Band has its own auditions. Auditions are usually held before the winter break and will determine which of the Jazz bands in an extra-curricular ensemble a student will play. * Jazz Band season runs from January until May. * DRRT season runs from January to April. My question isn’t covered in this FAQ list – what should I do? You can email the Desert Ridge Band Parent organization executive board at board@desertridgebands.org. Should I see how high school is and join Marching Band next year? No! You don’t want to miss being a part of the Desert Ridge Marching Band. You only get four years. What could be better than starting high school with 100 friends to support you through your first year? And you’ll always have a lunch buddy. Can any Desert Ridge student participate in Marching Band? Yes, and while being enrolled in another band class at Desert Ridge is NOT a requirement to play an instrument in the Marching Band, it IS highly recommended. Color Guard students, important members of the Marching Band, do not have to be enrolled in a band class to participate, but are encouraged to enroll in a dance class at Desert Ridge. Does Marching Band qualify for school credit? Yes. Marching Band is a one semester (0.5 credit) class. Also, students who complete four years of Marching Band (Color Guard included) will fulfill their high school requirement of 1 credit of PE. What is the time commitment required for Marching Band? Summer practice starts with sessions once or twice a week (guard), beginning around mid June. Attendance is expected if the student is in town. During the Marching Band season (Aug-Nov), there are daily (A-hour) all-band morning practices, 1 weekly all-band evening practice on Tuesdays. There are also a few mandatory All-Day Saturday practices that will be scheduled as needed. Football games are (usually) on Friday nights. Exhibitions and competitions are on several Saturdays. Can I miss a practice, football game, exhibition or competition? You are expected to attend all Marching Band practices and performances. There are no extra players to fill in your place. Any absence leaves a hole in the band. Wear a comfortable t-shirt, athletic shorts, socks and walking/running shoes to practice. No flip flops! You cannot learn proper marching technique with the wrong footwear. A hat and sunglasses are strongly recommended. Some practices will require the band t-shirt. Info will be given when appropriate. The Drumline, or Battery, consists of marching members of the percussion section and includes snare drums, tenor drums and bass drums. The Pit, or Front Ensemble, consists of non-marching members of the percussion section, including timpani, marimba, vibraphone, xylophone, bells, electronic instruments and auxiliary percussion. It is often located at the front of the field. The Color Guard, aka Auxiliary, are an important part of the Marching Show. They provide “color” to the overall effect of the show by closely choreographed interpretative dance routines that match the drill design. The Color Guard utilizes flags, rifles, and other props to enhance the overall show and make it even more visually appealing. The Drum Major conducts the band, providing the appropriate beat at exactly the right time. Students may try out to be Drum Major at the end of the school year. One person from each section is chosen by the band director through an application process to be student leaders for their section. They are usually upperclassmen who apply toward the end of their Sophomore/Junior year to be Section Leaders the following year. Yes, but it is recommended that they do not do both at the same time. If a student is a member of the Marching Band, it is recommended that this becomes their “Fall activity” and they chose not to participate in another Fall sport. However, if a student is passionate about being in an athletic program and Marching Band during the Fall season, it is advisable that this is discussed with the Band Director and the Coach prior to the start of summer practices for either activity. They will be able to participate in athletics during any other season. No. We have students that are involved in all aspects of student organizations, clubs, and sports. Students do have to learn to manage their time wisely to be involved in several school activities, but it can be done and has been done successfully for many years. Do students taking honors/advanced placement (AP)/ dual enrollment (DE) classes have time for Marching Band? Yes! Many band students take honors, AP or DE classes. The band is well represented in the National Honor Society, Student Government and other academic and leadership organizations. Do I need to provide my own instrument for Marching Band? All wind and brass instrument players are encouraged to rent a marching instrument. You don’t want to put a fine concert instrument through the wear and tear marching entails. The band program has a limited number of instruments that can be rented for the school year for a nominal cost. Percussion instruments are provided by Desert Ridge. A nominal rental fee covers repairs, mallets and sticks for percussion instruments. The alto saxophone, tenor saxophone, clarinet, piccolo, flute, mellophone (french horn), baritone (trombone), trumpet, and sousaphone (tuba). What does the pit crew do? The pit crew consists of volunteer booster parents. They are responsible for loading props on the trailers, and unloading/assembling at the performance site. When our band performs, they are responsible for getting the pit equipment/props on the field and set up, then removing the equipment expeditiously so as not to be in violation of any time rules set by the judging body, loading props back on to the trailers and unloading at the school. How are marching uniforms handled? Marching uniforms (shako, bibber and jacket) are provided by the band program and assigned to each student at the beginning of the marching season. They stay at Desert Ridge when not in use. Additional items (shoes, socks, show shirt, gloves) are needed to complete the uniform (some of these items are included with the marching band fees and others are an additional purchase) and should be transported between home and school by the student with appropriate regular laundering. Additional details are provided in the Band Handbook. How does my student travel with the Marching Band to and from games, shows and competitions? To perform in the marching show, the band member must travel with the band to and from the event. Buses are provided by the school. Each bus has BPO members (volunteer opportunities!) as chaperones with a first aid tote provided by BPO. If the rare situation arises where a student cannot travel with the band, this must be discussed with the Director. Who is the Band Parent Organization (BPO)? You are automatically a BPO member if your child participates in any of the Desert Ridge band programs. Parents of current students make up the BPO. Parents of all band members (not just Marching Band) are highly encouraged to participate on one of the committees. What does the BPO do? BPO members volunteer throughout the year in many capacities to support the entire band program at Desert Ridge. When does the band play at football games? The Marching Band performs the half-time show when at home, and the pre-game show when away. If the other team doesn’t bring their band, then our band may perform both pre-game and half-time shows. During the game, the band will play tunes in the stands, only on defense. Do parents need to pay to get into the football games? Yes. For adults, this is $5 for home games. Student prices are less (with ID), and away games differ depending on school. Volunteers working at the game (Pit Crew, Water Crew, Table Sales, Concessions, Bus Chaperones, etc.) do not pay entrance fee for the games. Where do I find my student after football games? Band members are required to stay through the entire football game. After the game, students return to the band room (home games) or buses (away games). Once at the band room, students change out of their uniforms, have a short meeting with the Band Director for post performance discussion and announcements, then are released by the Band Director for the evening. If you are providing the ride home, please allow time for all of this to happen. What is the etiquette for football games? For HOME games, sit in the HOME stands (West side). The Marching Band takes up the entire Northern most section in the home stands. BPO members generally sit in the same section north of the band. For AWAY games that we attend, we sit on the AWAY side (visitors), in the section left (facing the stands) of the home band. What is the etiquette for Marching Band competitions? Spectators are asked to be respectful of all competitors while in the stands and to not talk while any band is performing. Spectators are expected to wait until the performing band has completed its show before leaving their seat or entering the stands to find a seat. This shows respect to the performers and minimizes distractions to both the performers and those watching in the stands. Applause is welcomed at any significant moment in the show and of course at the end of the routine. This applies to all bands that perform. The band members like to hear the applause and welcome it as a motivator. Wear your Desert Ridge Band shirt and join other Desert Ridge band supporters in the stands. How can I share my photos or video of a Desert Ridge Band event? Great Question! We are working on a great answer. Please check back. Should I follow you on Social Media? Twitter and Facebook are just one way to get announcements of upcoming events, or a quick recap of an event. There is no requirement to follow us on Twitter or Facebook. The Band website is your primary source for information. All information will be sent via email. Emails are sent via Charms. If there is ever conflicting information, the Charms Calendar, viewable in Charms or on the website, should be considered correct. Please make sure you have a correct email in Charms. 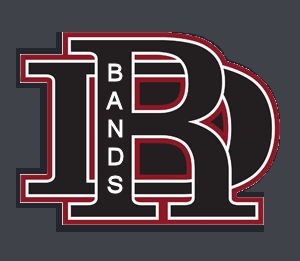 Fundraising for the band is needed to keep the band fees low, help to repair and replace equipment/uniforms, pay for additional band staff & coaches, pay for additional transportation expenses, cover the “wish list” items needed for the band program, provide funds for unexpected expenses, supplement various trip or fee expenses and allow for growth in the band. Fundraising includes any money or material collected from sales or donations that help support the band program, and is not provided thru fees, school or district allocations. If I volunteer to help the band, do I have to cover all the expenses? How do I handle any monies collected or spent? No. A volunteer is not expected to cover any expenses on behalf of the band out of their own pocket! Depending on the activity or event that you are helping with or organizing for the BPO, you should have a budget. The budget should have projections of expenditures and proceeds. You will need to receive approval for the budget from the BPO Executive Board prior to starting on the project. What is the band program “Wish List”? There is a list of items (updated periodically) that are needed by the band program. The list comes from input from the band director as well as the BPO as a whole. What is a “band sponsor” and how can I learn more about it? Band sponsors are businesses or individuals who donate money to support the band for a school year. For businesses, sponsorship includes different forms of advertising, such as ads in the band programs, logos on the band trailer, banners, and more! To learn more about the current sponsorship program, see the Fundraising page on this website. Does the money earned thru Fundraising benefit all band students and all bands? Yes. Unless a Fundraising activity is advertised differently (for example, specifically for a trip, or money for individual band accounts) all funds raised are used to benefit the band program as a whole. Does all of the money earned thru Fundraising go into the general Band Booster account? No. Some Fundraising activities may be applied to individual band students accounts. How can my student raise money for their individual band account? Tax Credit donations – the best way for students to add money to their account! Employer Matching Donations – many companies will match donations of money and/or volunteer hours. Check with your HR Department to see if your employer matches donations. Special fundraising opportunities – announced as they become available. How are the Fundraising activities selected? The activities selected for Fundraising are made up of traditional fundraising events, (cookie dough), band hosted events that include a Fundraising aspect, and new activities that are brought to the committee for approval. Some of the considerations are: level of difficulty, cost, volunteer involvement needed, community involvement, social interaction, level of enjoyment, & variety. I have a great fundraiser idea, who do I contact? Great! Send us an email at board@desertridgebands.org! When are the BPO meetings? BPO meetings are held periodically throughout the year. A minimum of three meetings are held, one in the fall, one in the spring, and one towards the end of the school year. More may be held when information needs to be shared. An email will be sent for all upcoming BPO meetings and all meetings will be posted on the band’s on-line Calendar. Where can I find the minutes from the BPO Meetings? BPO Meeting Minutes are posted on the Charms website under Handouts and Files > Board Meeting Minutes. Who can be a Band Booster Committee Chairman? Chairs are filled by volunteers. If multiple volunteers step forward for a position, or if there are no volunteers for a position, the Executive Board is responsible for selecting someone to fill the position. What rules govern the BPO? The BPO is a 501(c)(3) organization officially known as DRHS Band Parent Organization. As such, we have some specific requirements that relate to this type of tax exempt organization. 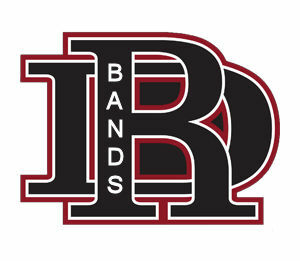 The BPO is governed by the Desert Ridge Band Parent Organization bylaws. Is there a Banquet at the end of the year? Yes. Generally, it is held in the first half of May. All band students, and their families are invited. During the banquet, special awards are announced and handed out. Extra emphasis and recognition is given to the graduating seniors.